David Bowie was famously a chameleon, taking on and casting off faces and characters whenever it suited his artistic whims. 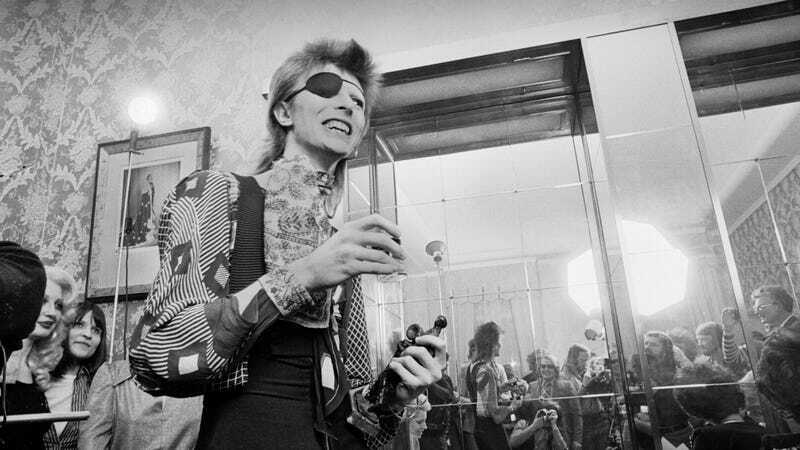 Now, the British town where Bowie allegedly debuted one of his most famous personas—the immortal Ziggy Stardust—is getting ready to pay tribute to his protean nature, in the form of a statue celebrating all of the faces of Bowie, at once. Photographer Mick Rock captures an icon in this exclusive clip from Shot!